Mr Zawistowski has completed higher engineering studies. He is a graduate of Wyższa Szkoła Inżynierska of Zielona Góra. In 1970–1984, he was Unit Manager at Lubuskie Zakłady Termotechniczne Elterma S.A. In 1984–1986, he held the position of Head of Maintenance Division at Inter-Vac of Warsaw. 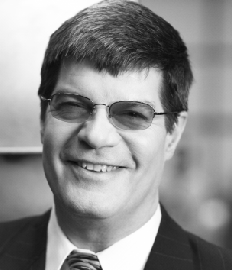 In 1986–1991, he was co-owner and director at TransVac s.c. of Świebodzin. 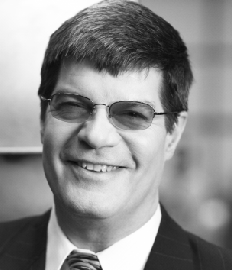 In 1996–2005, he was shareholder and President of the Management Board of HTC Nitrex of Częstochowa. In 1991, he became co-owner of SECO/WARWICK Sp. z o.o. where, until February 1st 2007, he held the position of President of the Management Board. On March 1st 2007, he was appointed as Strategy Director at SECO/WARWICK S.A. He was Vice-President of the Management Board of SECO/WARWICK S.A. from February 2007 to May 25th 2012. Mr Pilarski has completed higher engineering studies at the Gdańsk University of Technology. In 1976, he also completed a postgraduate course in business economics and organisation at the Gdańsk University of Technology. In 1991, he completed a course in human resources management at VBO-FEB in Brussels, and a course for members of supervisory boards of state-owned companies, organised by the Ministry of Ownership Transformation. In 1996, he completed the &quot;Essential Principles of Fund Management&quot; programme at Crane Davies Management Consultants in London. From 1967 to 1975, he was employed at PRIMBR of Gdańsk, and in 1975 at Stocznia Północna of Gdańsk. From 1975 to 1980, Mr Pilarski worked at PKSiMBR”Fermstal” of Pruszcz Gdański. In 1981-1984, he was plant manager at Przedsiębiorstwo WUTEH of Gdańsk. From 1984 to 1991, he held the position of Director at ZUO Hydroster Gdańsk. 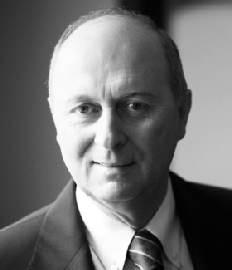 Since 1991 Henryk Pilarski has been a partner and then co-owner of RES Consulting s.c. and since 2007 has held the position of Chairman of the Supervisory Board of SECO/WARWICK S.A. 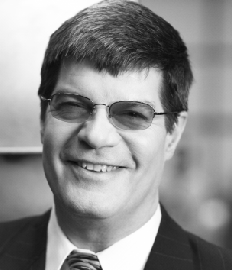 He has served as Deputy Chairman of the Supervisory Board of SECO/WARWICK S.A. since 2009. Jeffrey Boswell is a graduate of Gannon University. In 1978-1983, he was project engineer at Sunbeam Equipment Corp. (transformed into SECO/WARWICK Corp. in 1984). From 1984 to 1986, Jeffrey Boswell continued as project engineer, from 1987 to 1989 he held the position of product manager, and in 1989 he was appointed Vice-President of SECO/WARWICK Corp. in charge of sales. Mr Boswell has served on the management board of Industrial Heating Equipment Association for twelve years, first as President and now as Member. In addition, he has been a Member of the Management Board of Cupro Braze Alliance for eight years. Since 2005, he has held the position of President of the Seco/Warwick Corp.'s Management Board and from February 1st 2007 to March 1st 2009 he was President of the Management Board of SECO/WARWICK S.A. Jeffrey Boswell is also Vice-President of Retech Systems, LLC. He has been Member of the Supervisory Board of SECO/WARWICK S.A. since April 29th 2009, and has held the position of Chairman of the Supervisory Board of SECO/WARWICK S.A. since June 18th 2009. Marcin Murawski is a graduate of the University of Warsaw. Since 2000, he has been a member of ACCA. Mr Murawski holds a British licence of Chartered Accountant (ACCA Practicing Certificate), as well as a licence of the Polish National Board of Statutory Auditors (Qualified Auditor Reg. No. 90035), and a CIA licence (Certified Internal Auditor). In 1997-2005, he worked as Manager at the Audit Department of PricewaterhouseCoopers. 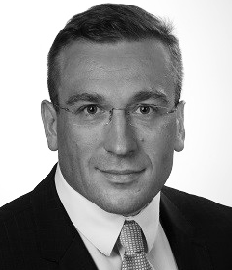 From November 2005 until November 2012, he was Head of the Internal Audit and Inspection Department at the WARTA Group, and Secretary of the Audit Committees at TUIR WARTA S.A. and TUNŻ WARTA S.A. Mr Marcin Murawski is an independent member of the supervisory board. Higher education, a graduate of the Warsaw School of Economics. Between 1993 and 1996, a specialist and later a broker at the Brokerage House of Powszechny Bank Kredytowy S.A.
From 1996 to 2002 he was an Investment Director at Trinity Management Sp. o.o (NFI program). During the next 3 years (2002-2005) he was a Director of the Leading Companies Department at PZU NFI Management Sp. z o.o. From November 2007 to December 2012 he was a President of Auto - Centrum Puławska Sp. z o.o. Between 2013 and 2014, a Vice President of the Management Board of Energosynergia Technologie Sp. z o.o.